ISLAMABAD: The Supreme Court (SC) on Monday proposed that the government should either take control of private educational institutes or close such schools. A three-member bench comprising Justice Gulzar Ahmed, Justice Faisal Arbab and Justice Ijazul Ahsan was hearing a case regarding the use of contemptuous language in a letter addressed to the top judge by the administrations of two private schools in Islamabad. The letter stated that the SC’s decision ordered a 20 per cent decrease in the fee charged by the private schools across the country whose fees are in excess of Rs5,000. The court subsequently ordered a 20 per cent reduction in the fees of all private schools and directed them to return the fees they had charged for summer vacations. “How did you have the audacity to term the court’s decision regarding hike in school fee “a draconian judgement,” remarked Justice Ahsan, adding that “the language in the letter was contemptuous”. “What kind of things do you write? We should close your schools and can even nationalise them. We can ask the government to handle the administrative affairs of your schools,” observed Justice Gulzar. “You can submit a written apology and we will take a look. We will get an audit done to check whether you have black or white money,” Justice Gulzar responded. Justice Gulzar criticised the private schools for “lack of remorse” and remarked that “education had been made a business commodity”. “Parents are asked where they will be travelling for holidays – how is that the concern of the school administration? Private schools have poisoned homes,” he further said. “We are aware of the kind of comments that were passed after the court’s order. Why don’t we deal with private schools and order the government to take charge of them. Schools are neither an industry nor a money-making sector,” Justice Gulzar added. Seeking replies from the administration of the private schools, the apex court adjourned the hearing for two weeks. Earlier, the top court issued a detailed written verdict elaborating its earlier orders when it had directed private schools charging more than Rs5,000 per month to cut down their fee by 20 per cent. The court had clarified in its verdict that the orders issued on December 13 last year were applicable to all private schools that charged a fee above the limit and there were no exceptions. Schools that charge less than that amount are exempt from those orders. However, the order has barred schools from withdrawing or reducing awards, scholarships and incentives that had already been awarded to students. Further, any school that writes insulting letters to the parents in relation to the top court’s verdict shall be served a notice. 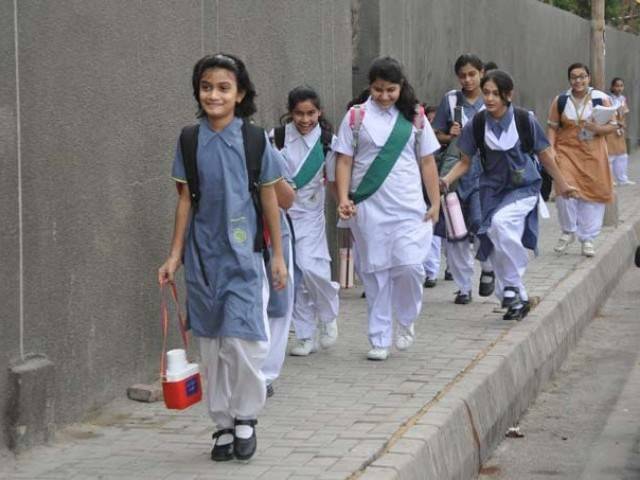 On January 11, then-Chief Justice of Pakistan Mian Saqib Nisar had directed the Law and Justice Commission to appraise it of the reaction of private schools to its earlier directives that any fee in excess of Rs5,000 must be reduced by 20%. The court again directed the owners of private schools to ensure a reduction in fee or face consequences.